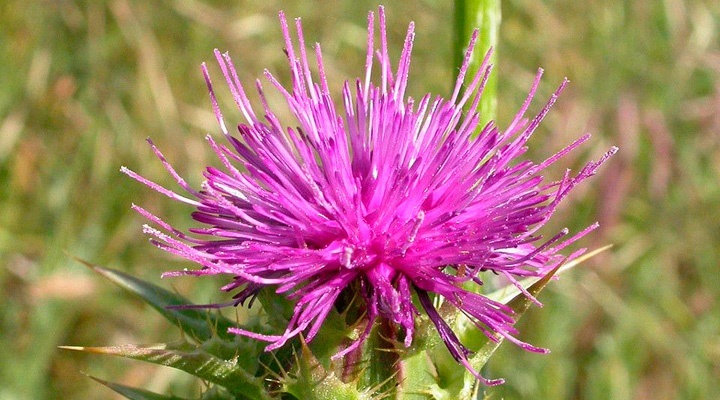 According to a study carried out at the Institut Català de Oncologia (ICO) in Girona, published in Oncotarget (1), silibinin, a natural substance present in the fruit Silybum marianum, has been shown to be able to reduce brain metastases from lung cancer resistant to chemotherapy and radiation therapy. The antitumor role of silibinin had been seen in cell models and mice, but it is the first report of its efficacy in humans with cancer. At the ICO Girona, a line of research was started in 2011 to explore the activity of silibinin in lung cancer. The researchers published several papers in which they showed that silibinin showed antitumor activity in cell lines and in mice. One of the main challenges, however, is the administration of silibinin to patients, since it is a molecule wioth poor oral bioavaliability as a result of its chemical structure. In a recent study led by Joaquim Bosch, it was shown that an oral supplementation with 420-1050 mg/day of Legasil TM (60% of silibinin isoforms) has reduced the brain metastases of two patients with advanced lung cancer between 70 and 85%. Patients had previously received chemotherapy and radiation therapy, but did not experience improvement. This is the first reported effectiveness of this product in humans with cancer. This finding opens up new treatment options for this type of patients, but could also be applied in brain metastases of other cancers (breast or melanoma, for example) and in primary brain tumors such as glioblastoma multiforme. One of the limitations of the study is that silibinin has only shown activity against brain metastases, not lesions in the rest of the body. Researchers at ICO Girona are working to understand how silibinin works against brain metastases and to explore new formulations or combinations with other drugs that make it effective in other parts of the body as well. 1. Bosch-Barrera J, Sais E, Cañete N, Morocco J, Cuyàs E, Izquierdo A, Porta R, Haro M, Brunet J, Pedraza S, Menendez JA. Response of brain metastasis from lung cancer patients to an oral nutraceutical product containing silibinin. Oncotarget. 2016 Mar 3. doi: 10.18632/oncotarget.7900. 2. Vanaclocha B, Cañigueral S (Eds). Vademecum of Phytotherapy: Marian thistle. 3. Alonso MJ, Allué J. Phytosomes: a technological development to improve the bioavailability of plant extracts. Journal of Phytotherapy 2015; 15 (2): 109-119.